Washington (CNN) - Former Minnesota Gov. Tim Pawlenty will deliver a "major" foreign policy address next Tuesday in New York, his presidential campaign told CNN Thursday. According to a Pawlenty aide, the speech to the Council on Foreign Relations "will focus on the challenges and opportunities presented by the Arab Spring." "Governor Pawlenty will address President Obama's failed leadership, approach, and philosophy of how to approach the entire Middle East region," the aide said. "He will touch on the need for the Republican Party to continue its support for a strong foreign policy." 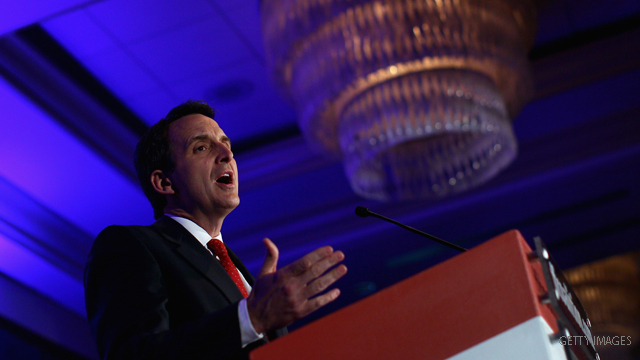 Pawlenty has been a vocal critic of the president's handling of the crisis in Libya. He has also staked out a hawkish position on Afghanistan at a time when some of his Republican rivals are calling for withdrawal of American troops. It will be the second high-profile speech Pawlenty has delivered since declaring his candidacy, following an economic address in Chicago earlier this month. President Obama's foreign policy was non-existent when he was running for president. Hillary hit him pretty hard on that, if you remember. His defense was that he spent four years in Indonesia...as a child. Hardly credible foreign policy training. You should listen to what the candidates say instead of immediately vilifying them because they have a different party attached to their name. Don't believe everything you think. If you're going to inult somebody you don't agree with, you better check to see if your candidate has done the same. It will make you look less the hypocrite. rickter you and pawlenty need help. Oh boy he gets his foriegn crdentials. Now if he only had governing qualities. He of course has none and is a complete wackjob just like his siter ELCA Backmann!